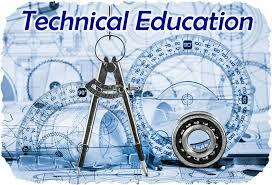 The aim of this term paper is to describe Technical Education in Secondary Level of Bangladesh. Objectives of technical or vocational education are as follows: obtain go percent literacy rate through the year 2020 in order to achieve percent with in 10 years and upgrade the camp of technical training and training almost all job oriented as a result of constant and correct linkages with job market, both within and beyond the country to turn knowledge into activity in agriculture as well as industry and with other fields of production. Other objectives are: ensure optimum use of existing educational facilities at secondary level and improve management of educational institutions through involvement of secondary level education.